Omega has been party to some remarkable adventures over the past 160 years; whether it is in space, the ocean or sport timekeeping and precision recording these events and have distinguished them from any other watchmaker in the world. Let’s take a look at some of their accomplishments over the decades.
. La Chaux-de-Fonds is the place it all began in 1848 when Louis Brandt a 23 year old man set up an assembly workshop working by daylight to assemble precision pocket watches he made from parts by local craftsmen. Thirty years pass and Louis’ sons change from assembly to manufacturing due to quality assurance issues and tighten up the production process. Mass production starts in 1885 with the creation of the “Labrador” a Caliber-C watch.
. The first minute-repeater watch is invented in 1892 capable of sounding the hour, quarter hour and minutes with the push of a button. Two years later the 19-line Caliber “Omega is invented by Francois Chevillat using ground breaking methods.
. A new century brings a watch made for motorcyclists that can be attached to the gas tank in 1901. Omega gets into its first sporting event the Gordon-Bennett Cup, responsible for timekeeping it is an international ballooning race in 1909. The first pocket watch for visually impaired people was created in 1917 featuring raised positions on the face of the dial to tell time.
. During the Los Angeles Olympic Games in 1932 Omega was there keeping track of chronometry and supplying and controlling 30 chronographs for time measurement in all sporting events marking the beginning of Omega as official timekeeper.
. The year was 1933 and Omega supplied the Rome-Chicago race with 24 teams from the Italian Ministry of Aviation equipped with 48 wristwatches and onboard dashboard clocks.
. Amelia Earhart insisted on wearing an Omega chronograph when she first crossed the Atlantic in 1934 making her the first woman to successfully do so.
. The famous Seamaster is launched in 1948, the first water-resistance watch.
. With the advent of the Omega Raced camera, track events no longer had to worry about group arrivals as it coupled cinematography with a timekeeper for the first photofinish in 1949.
. The popular Constellation is launched in 1952.
. Continuing with their involvement in sporting events Omega invents a stopwatch that uses a light signal and a bell to trigger the start of races at the Melbourne Olympic Games in 1956.
. 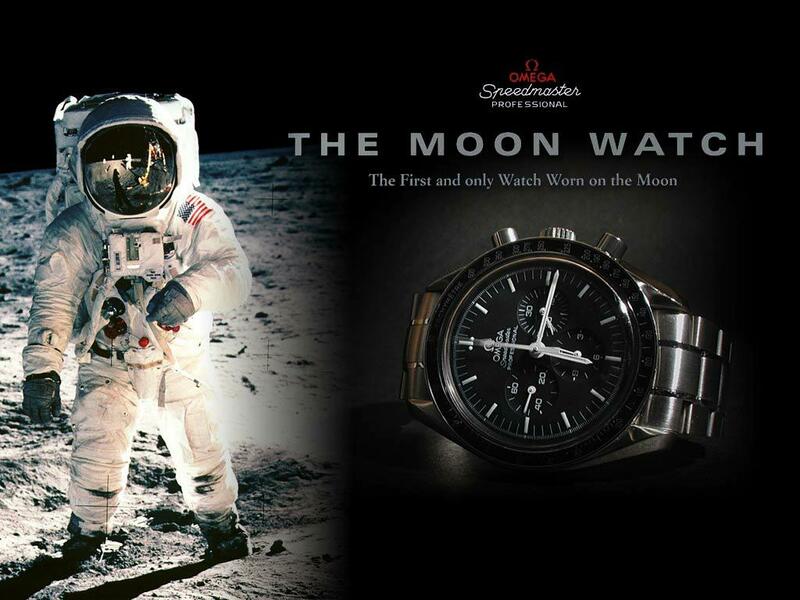 Tested by NASA and passing 11 environmental tests the Speedmaster is launched in 1957 and is the first and only watch on the moon in 1969.
. Revolutionary for its time, Omega introduces a fingertip pressure touchpad for swimming competitions that has been used in every Summer Olympics for the last four decades since its inception in 1967.
. 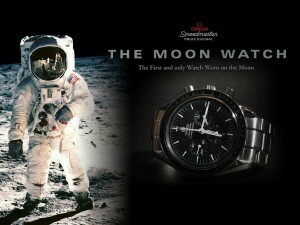 The Speedmaster and a sextant are used by Ralph S. Plaisted on his expedition to configure the exact location of the Geographic North Pole in 1968 in temperatures of -50C and 1330km altitude.
. Apollo 11, a giant step for mankind accompanied by the Speedmaster during the 2.5 hour space walk on the lunar surface in 1969.
. Apollo 13, the Speedmaster manually timed the precise engine boost required to re-enter the earth’s atmosphere saving the lives of the crew after the explosion in 1970.
. 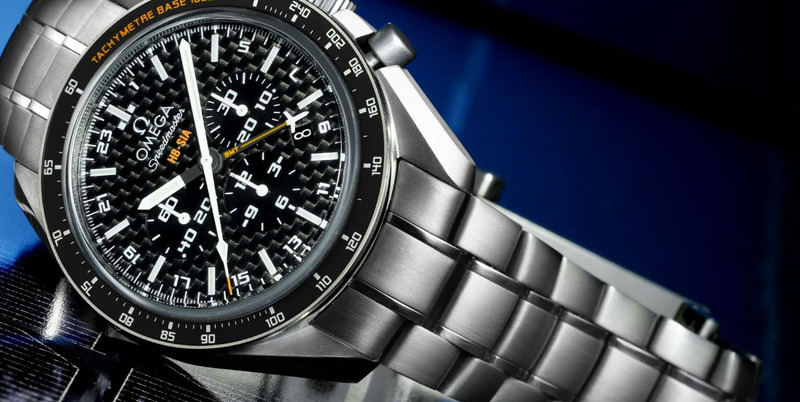 The Speedmaster is in space once again with the Apollo and Russian Soyuz shuttles synchronized to time the rendezvous in 1975.
. The Seamaster 120m was used when Jacques Mayol set a record for unassisted diving in the water off of Elba where he reached a depth of 101m without an oxygen tank in 1981.
. 1994 brought the world’s first self-winding wristwatch, the Tourbillon in 1994.
. The DeVille revolutionary design reduces friction guaranteeing accuracy and longevity with the advent of co-axial escapement in 1999. Omega continues to amaze and inspire people to do their best knowing they have the best watch behind them.